Posters and information from local community and charity organisations can be shown here. Please contact us if you would like to show a Community Event here or share something that would be of interest to local people. 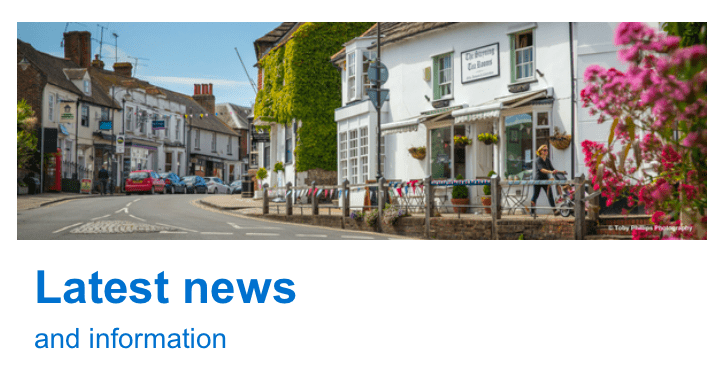 By completing the 'Stay Connected' Box on the HDC site you can be advised by Email of the latest news and updates. THE FIRST REPAIR CAFÉ IN WEST SUSSEX WILL OPEN ON SAT. OCTOBER 7th 2017 AT THE QUAKER MEETING HOUSE IN THE WORTHING ROAD NEAR HORSHAM BUS STATION. The café has been started to do more to help reduce the number of items that are going into landfill every year (saving us money and helping the environment by not having to make so many new items). They would also like to encourage people to rediscover old skills and learn new ones. 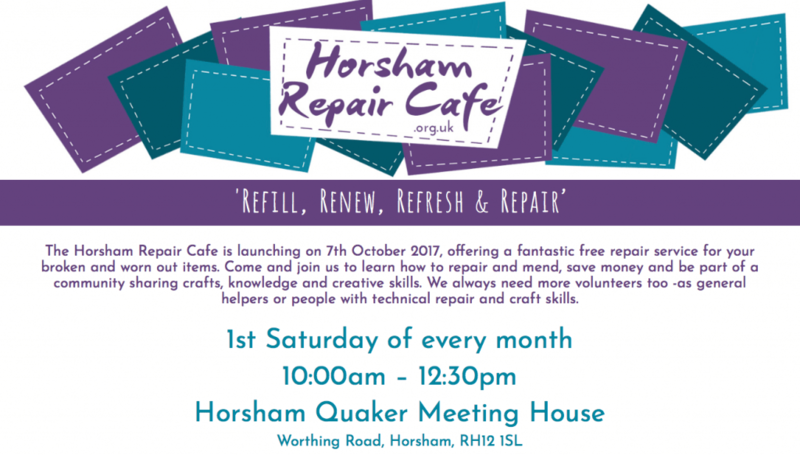 The first Café will be on Saturday October 7th at The Quaker Meeting House in Horsham, and monthly thereafter on the first Saturday of each month with a revolving theme. The volunteers are ready, the cakes are being made and the first customer already booked in! It would be good if you could find time to drop in and have a coffee and a cake on that morning - the more the merrier. You can come with or without items to be repaired. Horsham Rusty Brains is a local group for people who have a diagnosis of dementia. They are looking to raise awareness of the support available to people living locally with dementia and to raise money for the Alzheimer’s Society.